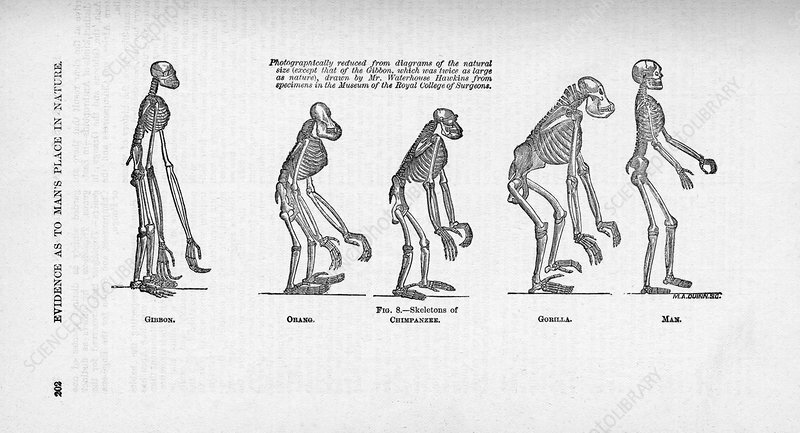 Comparison of primate skeletons. Gibbon (Hylobates sp. ), orangutan (Pongo pygmaeus), chimpanzee (Pan troglodytes), gorilla (Gorilla gorilla) and human (Homo sapiens) skeletons. Illustration from 'Evidence as to Man's Place in Nature, Vol. Thomas Henry Huxley (1863).